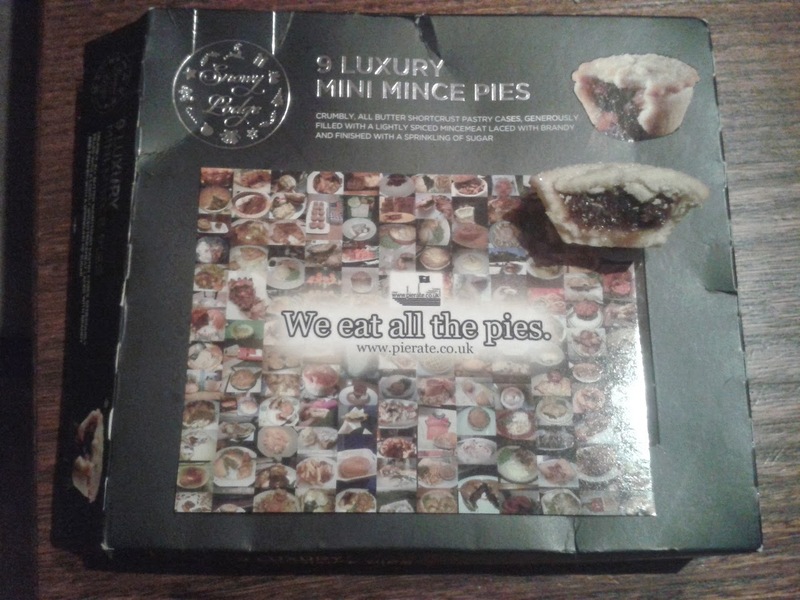 Pierate - Pie Reviews: A Lidl Mince Pie goes a long way! Often you don’t want a little mince pie, especially when you could get a larger version. 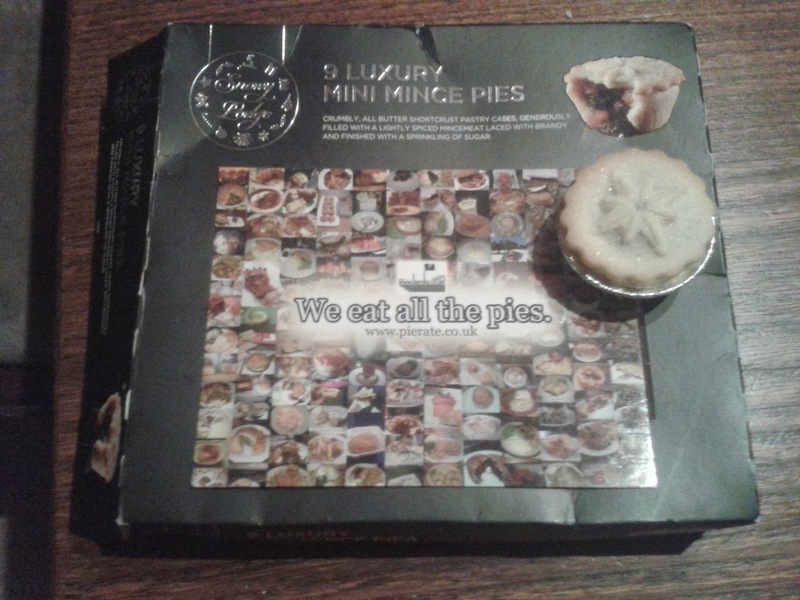 But how about a luxury Lidl mince pie? Yep, the low value German retailer have produced some tasty mince pies over the years. Ask Which? Magazine, who blind taste tested the Lidl Snowy Lodge Luxury Mince Pies and rated them as their number 2! But enough about that... what did the Pierateers think?! Well the pies were pretty mini - that cannot be denied! At two bites per pie, I therefore ate 3, just to make sure I got a full flavour of the filling. 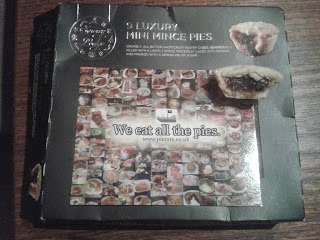 The capacity was very strong, filled with nice, moist fruity mincemeat which complimented the buttery short crust pastry. The pastry crumbled upon biting but held together well when the pie was being bitten into. Unfortunately a few of the lids broke off rather to easily or cracked rather easily, but in general the condition was good. Small pies do sometimes suffer from a poor filling:pastry ratio, due to having such a small centre to fill and a lot of pastry encasing it. However with such a strong capacity of filling in these pies, I never thought these pies were too pastry heavy. The filling was quite sweet and just lightly spiced, which suited my taste buds just fine, and there was just a light brandy taste to them to improve the mincemeat flavour. While the colour could have been a bit stronger (the photo demonstrates that the lid is rather see-through), the cheapness was okay at £1.35 for 9 luxury mini mince pies – 15p per pie - (though the fact you could buy 12 full sized Lidl (non-luxury) mince pies for £1.49 means these aren’t the cheapest). A nice little pie which would certainly please the dinner guests at your Christmas pie party and be a Lidl conversation starter! 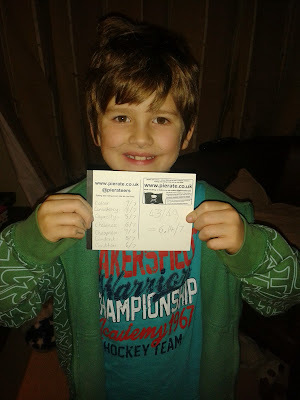 Note: This pie was also reviewed by guest Pierateer Rufus who, while rather more generous with his scoring than I, did also very much enjoy the pies.